The “dam & fill” process with two materials is mainly used in cases where a component needs to be protected with an optically-transparent encapsulant or if a conventional glob-top material is too viscous to flow around and underneath fine wires. Optically transparent encapsulants usually have a low viscosity. A dam is therefore applied around the component first to prevent the potting material from flowing all over the substrate. Epo-Tek OG116-31 is a UV-curable epoxy. Due to its thixotropic nature it is often used as a dam. It can be cured with UV-light in a very short time. Afterwards the encapsulant – either also a UV-cure or a thermoset material - can be applied. Epo-Tek OG198-55 has an even higher thixotropy than OG116-31. Both products have an extraordinary chemical and humidity resistance and a high glass transition temperature (Tg >110°C). As most UV-cure epoxies, both OG116-31 and OG198-55 are cationic products. Ionic polymerization is initiated by photo-generated ions. The cure process continues until all polymers are consumed. Generally, cationic products have the benefits of less shrinkage and higher adhesion over free radical cured systems and are not adversely impacted by an oxygen rich curing environment. John P. Kummer Group is proud to announce its partnership with Micromanipulator, manufacturer of probing systems and accessories. The VCA Optima series contact angle measurement systems incorporates lightweight design, easy assembly, and the latest Windows™ standards and user-friendly software. VCA-optima systems are suitable for research or quality control in R&D and process engineering. Systems range from the basic Optima to the fully equipped Optima XE. Features include dynamic capture capability, motorized syringe, surface energy analysis and pendant drop analysis, to name a few. The pre-recording of the webinar is now available for those who were not able to listen in. You can register by clicking on the below link and view the presentation at your leisure. NSW Automation from Malaysia and TAEHA Corporation from Korea. 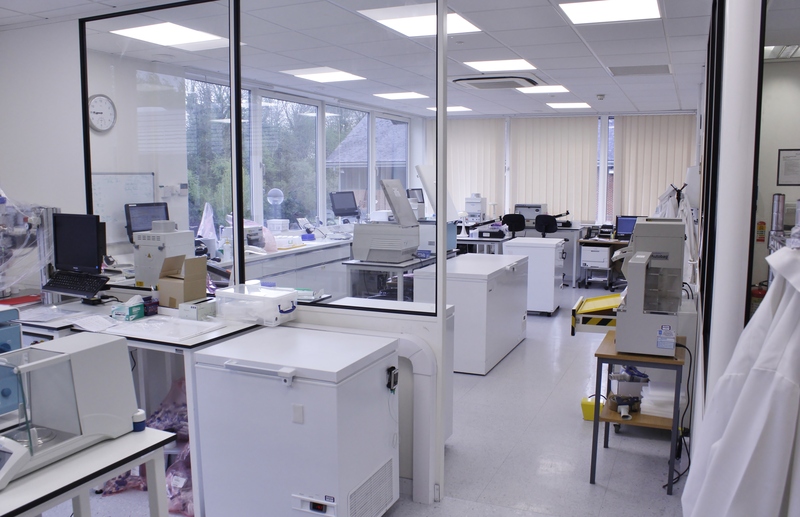 Epoxy Technology Europe Ltd has doubled the size of its production site in the UK in order to keep up with ever-increasing demand for packaged EPO-TEK® adhesives. The quality control area, controlled light area, as well as freezer and general storage capacity were also augmented. Material characteristics can be considerably influenced by the mixing process, as well as steps such as degassing and centrifuging. One illustration of the potential for this change is how viscosities can change; for a silver-filled material the VR values can be affected and thixotropy could be destroyed if a proper process development is not set-up for each product. For reproducible quality of packaged material, exact time parameters need to be established for each product as epoxy materials change in characteristics with time once mixed. Only if the customer decides to outsource this process to the manufacturer can he be assured that the packaged material has consistent performance. Epoxy Technology Europe Ltd offers various processing options, including vacuum degassing. All syringes are centrifuged to remove bubbles. From the customer’s point of view all other aspects of processing are avoided (process documentation, scales, mixing tools, dispensers for transfer of material to end syringe, centrifuge, etc.) and importantly there is no requirement to set up a QC process to document the quality of the mixed material and equipment to perform QC tests on mixed material. A full range of Quality Control tests are provided by Epoxy Technology Europe and include Viscometry, Cure Calorimetry, Cure testing, etc. At Epoxy Technology, full traceability is given back to each raw material. For each product, a process is in place for to record all parameters such as time from mixing to freezing, mix quantities, degassing and centrifuging parameters, and more. This ensures that the customer receives material of the same consistent quality and can maintain a reproducible process on his end. For each order the customer receives a C of C for his documentation which provides traceability at the ‘Mix-Lot’ level. Standard syringe sizes are 3, 5, 10, 30 and 55 cc. The syringes are compatible with standard dispensers. Special syringes are available upon request. Fill quantities depend on the customer’s consumption. All European EPO-TEK®-customers who order the material premixed frozen are supplied from Epoxy Technology Europe’s European facility. Transit time is usually 24 hours, shipments are made in dry ice and temperature profiles can be logged. Highly demanding industries such as: medical, automotive, aerospace and others have been supplied since 2010 with EPO-TEK® products packaged in the UK. April 27, 2018 - Our new principle Optotherm Inc.
We are proud to announce that JPK entered into a partnership with XwinSys to promote its systems based on enhanced X-Ray technology combined with automated optical 2D and 3D technologies. JPK will be responsible for large parts in Europe. We are proud to announce that JPK entered into a partnership with ITC to promote its probe card analyzers, and power semiconductor test systems. JPK will be responsible for sales and service support in Europe.